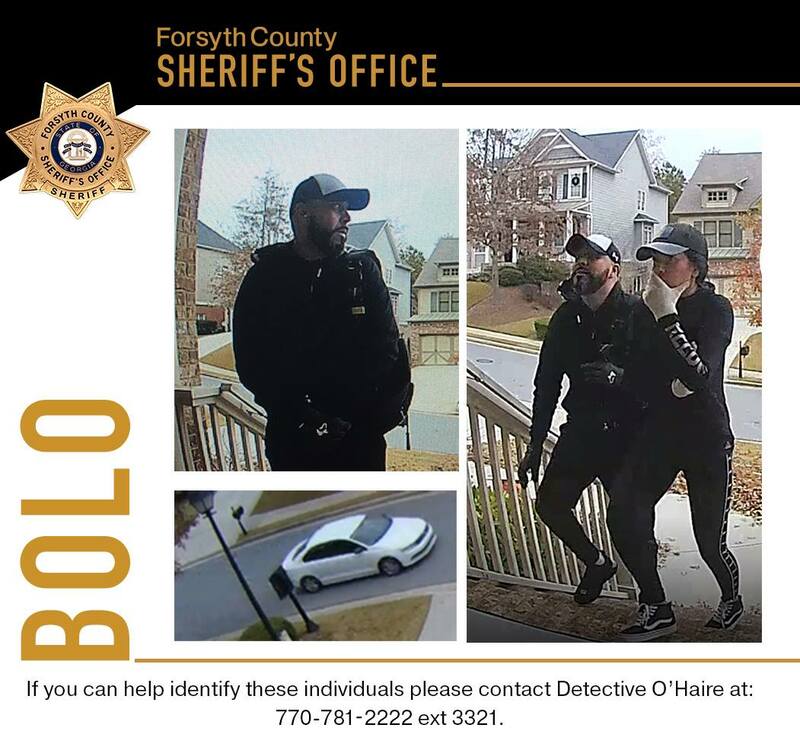 Atlanta, GA, December 6, 2018: Forsyth County police recently released surveillance footage of a man and woman in athletic gear who attempted to break into a home in the Southgate Village community off Windermere Parkway on a Thursday afternoon. Investigators are concerned the suspects could be tied to a large criminal ring across North Georgia targeting people of Indian and Asian ethnic groups in search of cash and jewelry. Several law enforcement agencies are on the lookout for the criminal gang. If you can help identify these individuals or have any information, please contact Detective O’Haire at 770-781-2222 ext 3321.